Skye Gravestones | James & Mary (Macdonald) Munro. James & Mary (Macdonald) Munro. 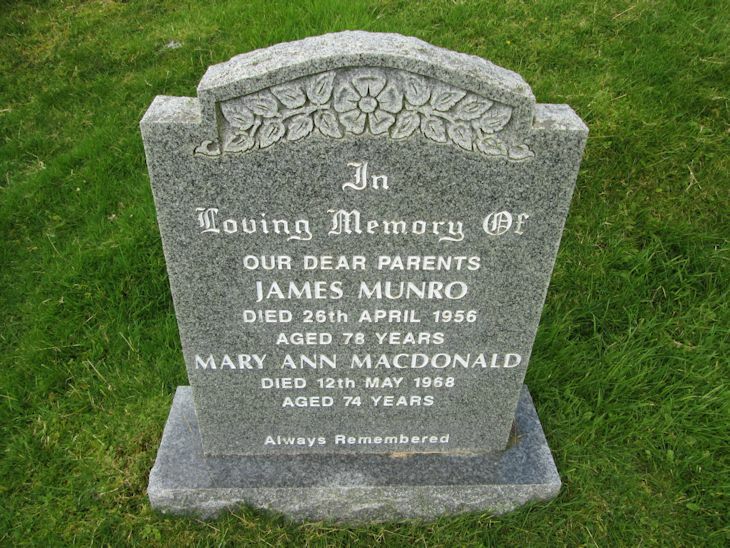 In/loving memory of/our dear parents/JAMES MUNRO/died 26th April 1956/aged 78 years/MARY ANN MACDONALD/died 12th May 1968/aged 74 years.